Texas Head Targets Are Back! Get one waterjet cut, 1/2" thick AR500 "Texas Head Target", 4x4 Post Bracket and Rifle Mounting Hardware for $149 shipped! A request from a great customer has lead to the development of our latest target, "The Texas Head Target." This target is made of premium, 1/2" thick AR500 steel. It is cut on a waterjet to ensure that the properties of the steel are not affected by heat during cutting. We also do not weld anywhere on the target. 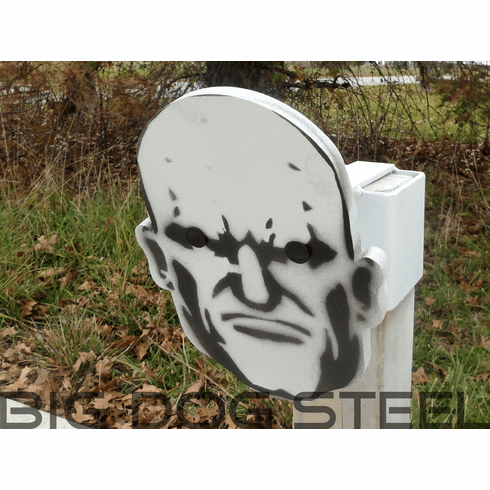 The targets come ready to mount to one of our specially designed 4x4 post brackets, and feature two oversized 1/2" diameter mounting holes. For this target will come with the 4x4 post bracket, and grade 8 mounting hardware. Everything you need, right out of the box! Optional Pistol Hardware Shown in photo for $5 more. Pistol Mounting Hardware sits almost completely flush with the face of the target and features hardened bolts for longer life. 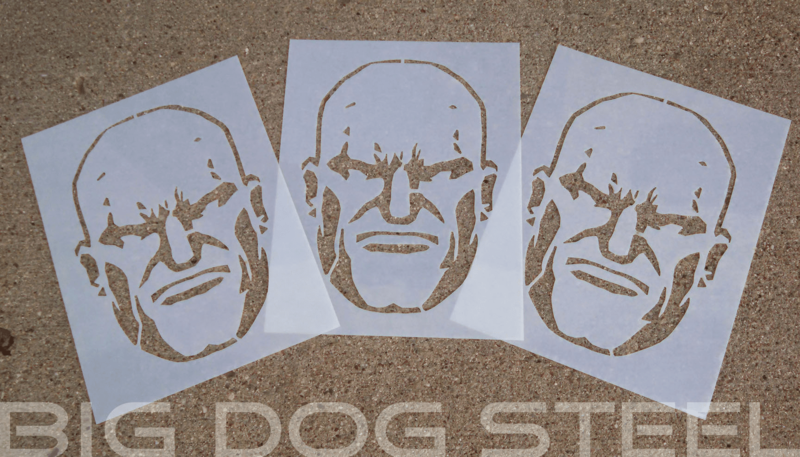 Templates are property of Big Dog Steel and may not be copied or distributed without our express written consent. Template may be printed and used for non-commercial use only. Misuse of this template may be subject to legal penalties under all applicable laws.